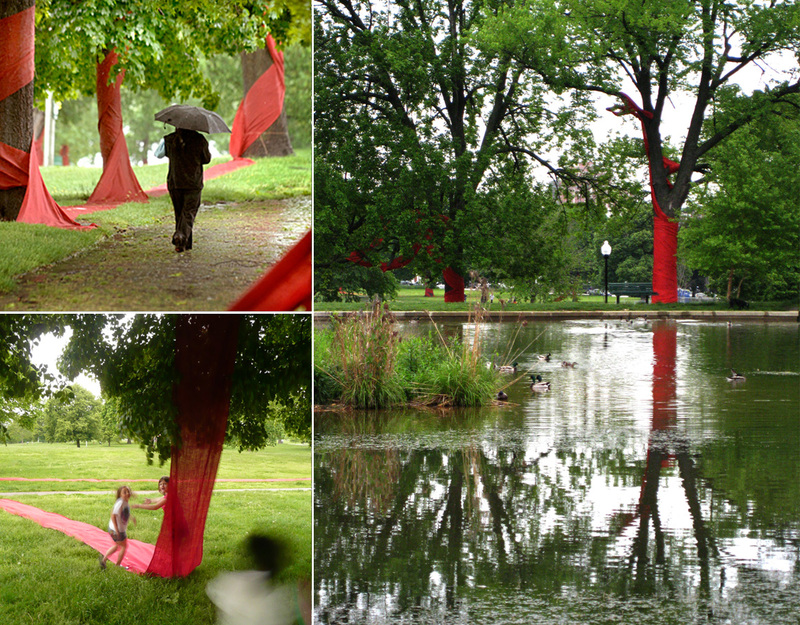 An installation of massive scale. 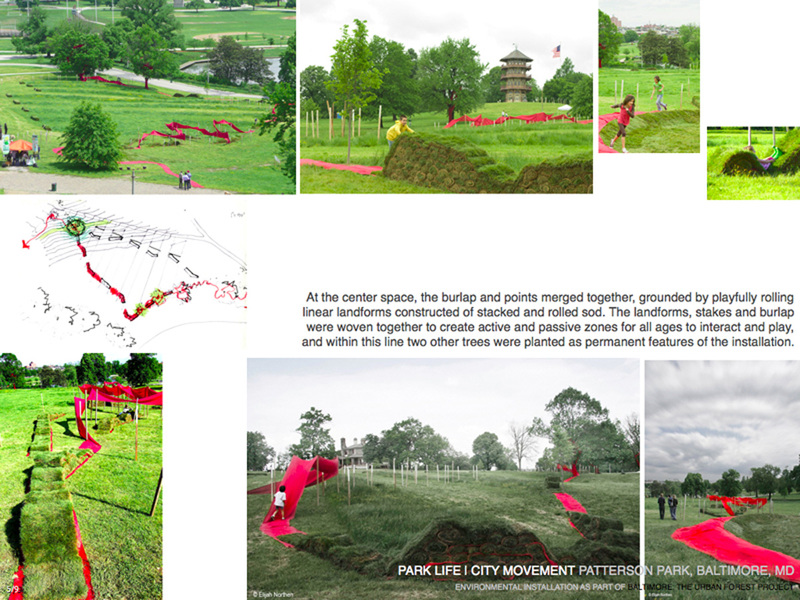 ParkLife/City Movement showcases the importance of nature in the urban environment. 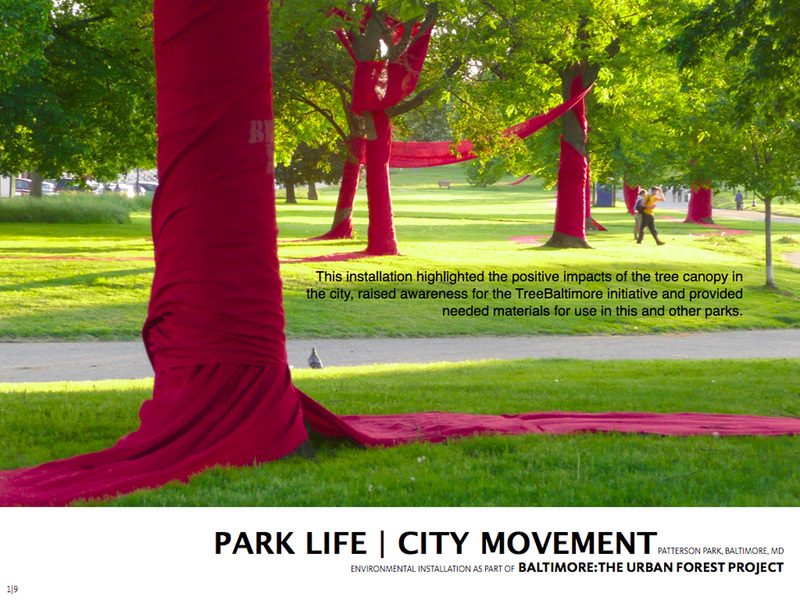 An initiative for Tree Baltimore, this undertaking was installed in centrally located Patterson Park. Its realisation was the result of generous donations, volunteers and hundreds of man hours. 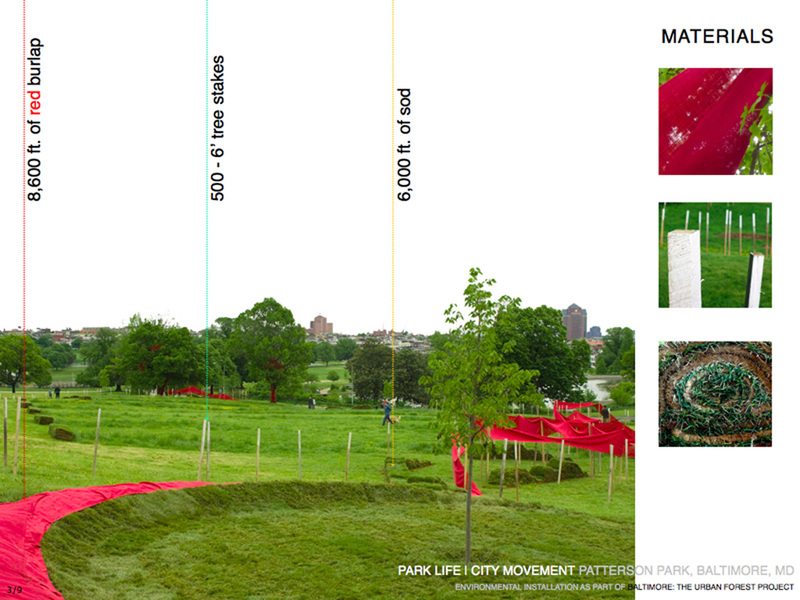 All the materials used were inspired by the thought concept of division and merger, and of ground, tree and canopy. 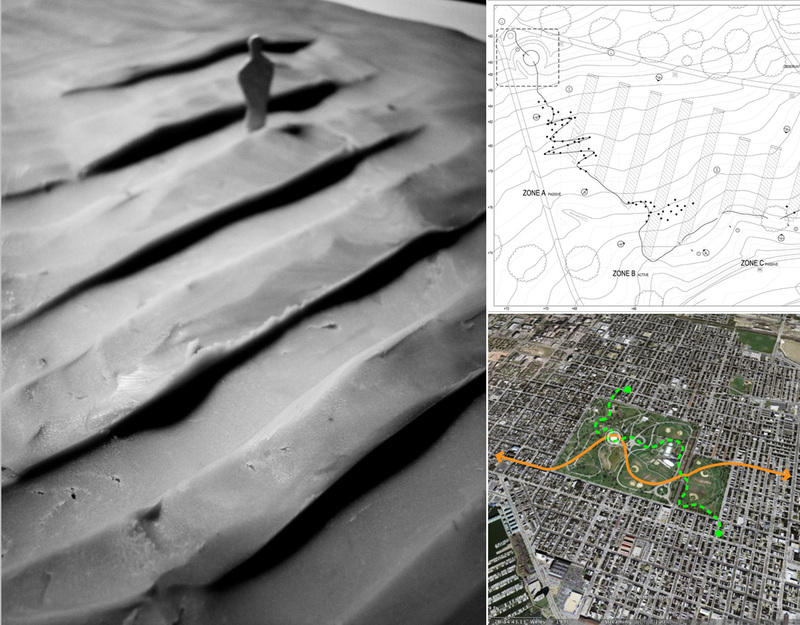 The end result generating a path that influences visitors to take a voyage and note the beauty. 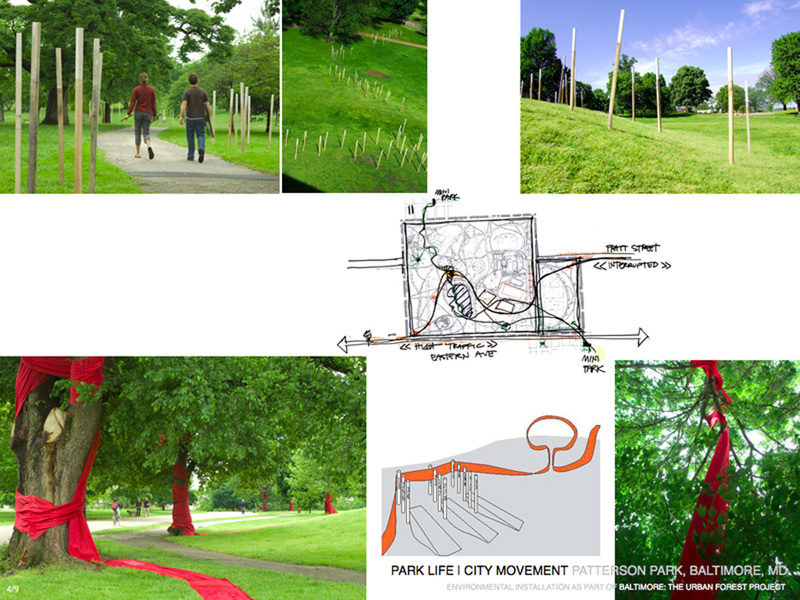 At the conclusion of the installation all materials were donated back into the city parks and tree planting initiatives.